Grabbing lunch at a restaurant is convenient, but doing so every day can add up — not just in terms of money, but also in excess calories, saturated fat and even sugar. Even healthy-sounding choices at many restaurants tend to have way more salt than a typical home-cooked meal. Portions at most restaurants tend to be out of control, too. Making your own healthy lunch is the obvious solution, but we know that’s easier said than done. To help, we’ve gathered some of our favorite recipes for make-ahead, easy, portable, good-for-you and great-tasting lunches. By cleverly combining make-ahead items (e.g. a big batch of grains), leftovers (cooked chicken, fish and veggies), and store-bought ingredients (canned beans and tuna, wraps and bread) you can mix and match for last-minute healthy lunches every day. Use these recipes as a jumping off point to create your own favorite make-ahead meals and feel free to customize with in-season ingredients. Al Roker pumps up the fiber and protein in pasta salad by using chickpea pasta instead of pasta made with regular flour. Canned tuna adds additional protein and good-for-you omega-3 fats, while avocado provides additional healthy fats — it all adds up to a satisfying salad that will keep you going until dinnertime. 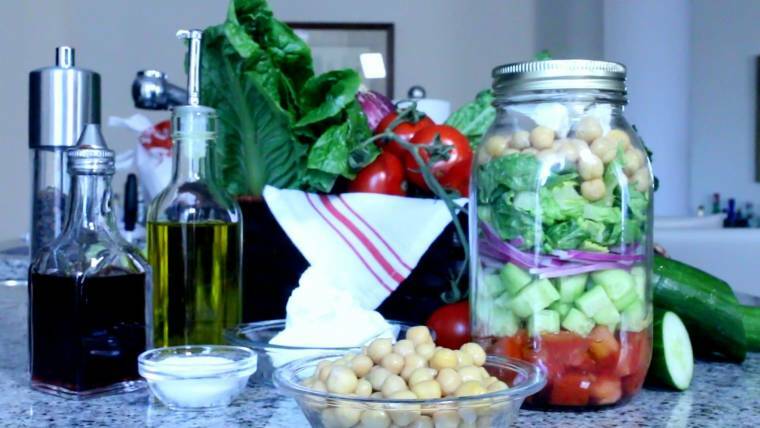 Remember the Mason jar salad trend? 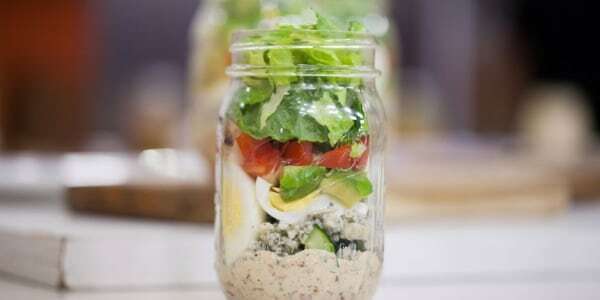 It’s time to dig out those jars (or any large container you can layer in) for Joy Bauer’s lightened-up take on the classic Cobb salad. Her version has chicken, a hard-boiled egg, cheese and even bacon, yet it has less than half the calories of a traditional Cobb you’d find at most restaurants. 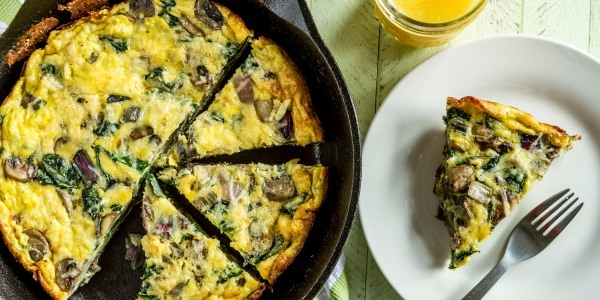 Don’t relegate eggs to breakfast: This hearty frittata is packed with protein and tastes just as good at room temperature as it does warmed up. Wrap a piece in foil or pack it in a portable container … or simply stick a slice between two pieces of whole-grain bread for a breakfast-for-lunch sandwich. 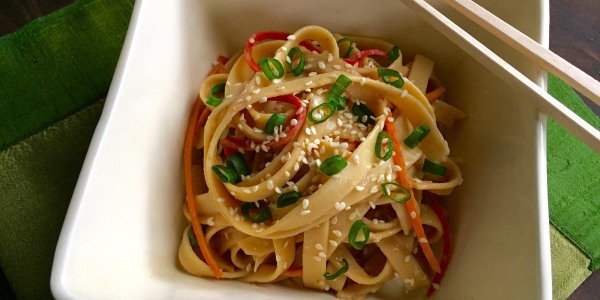 If you love the cold sesame noodles at your local Chinese restaurant, you’ll be happy to see how easy this make-at-home version is. Add some edamame, tofu or chicken to amp up the protein. If you have any veggies on hand, such as cucumbers, carrots or red peppers, slice them up and toss them in, too. 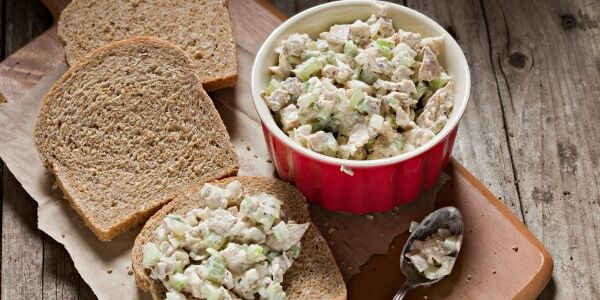 This healthy version of chicken salad swaps traditional mayonnaise for Vegenaise, an egg-free spread that’s high in omega-3s. With garlic, mustard and celery to perk up the flavor, you won’t notice any difference in the taste. Make a sandwich with whole-grain bread or a wrap, or pack it up in a container with additional veggies and add a scoop of cooked grains, such as quinoa. If you want to get crazy, you can add an additional healthy sandwich spread. 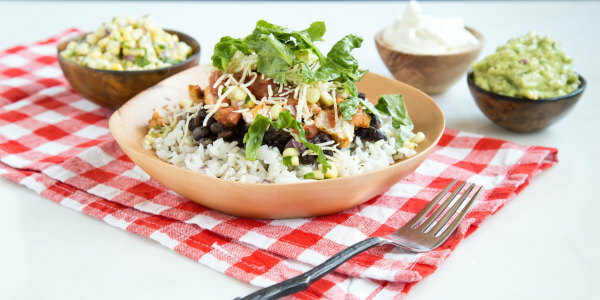 Get your Chipotle fix DIY-style with these make-ahead bowls, which you can customize with brown rice or quinoa as the base. Since you’re in control of the toppings, you can favor the healthier ones (such as homemade salsa, veggies, guacamole) and take it easy on the less healthy ones like cheese and sour cream. 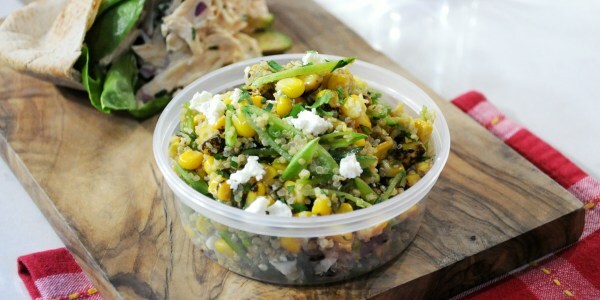 Have a picnic at your desk with this bright-tasting salad with snap peas and charred corn (from a bag, so you don’t have to cook it!). Quinoa and feta cheese provide plenty of protein, but if you want even more, feel free to add some drained and rinsed canned black beans or chickpeas, leftover cooked chicken, and even a handful of nuts. 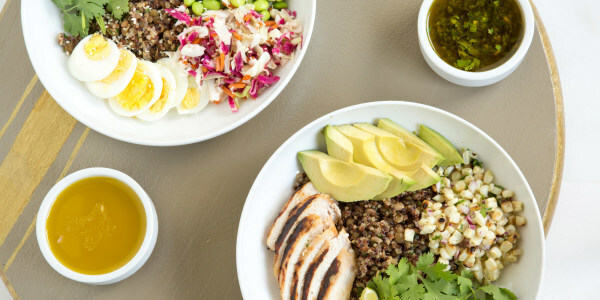 Make a big batch of the lentil and quinoa base for these DIY power bowls and you can have a different take on the grain bowl everyday of the week by customizing it with different toppings and dressings. Leftovers are your friend when it comes to power bowls and just about anything can work: roast chicken, sliced steak, deli turkey, cooked or raw vegetables, nuts, cheese and all sorts of dressings, sauces and spreads, including pesto, hummus, harissa and any salad dressing. 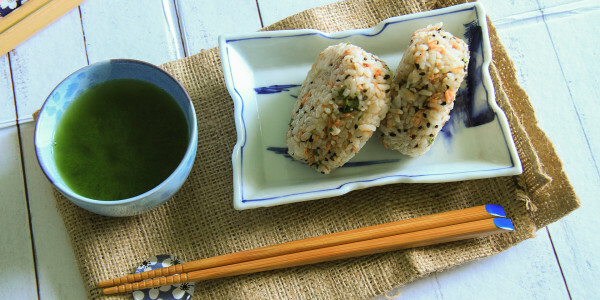 These portable rice balls are inspired by Japanese onigiri and, just like onigiri, they can be customized to create a satisfying meal. Try adding cooked fish, chicken or tofu and any leftover veggies you might have on hand. Rice balls are great for people following a gluten-free diet, too, just be sure to use gluten-free versions of any seasonings that usually contain gluten, such as soy sauce. Got a microwave at your office? Don’t forget about soup, stew and chili for your healthy make-ahead lunches. 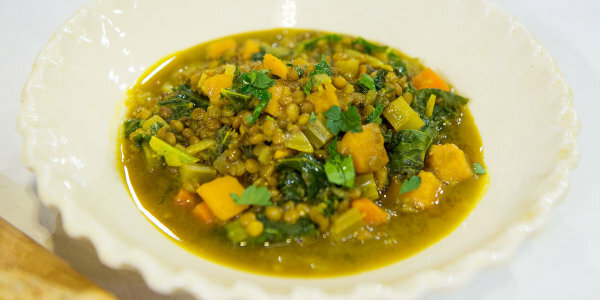 This one is full of good-for-you ingredients, including heart-healthy lentils, plus sweet potatoes, kale and turmeric. 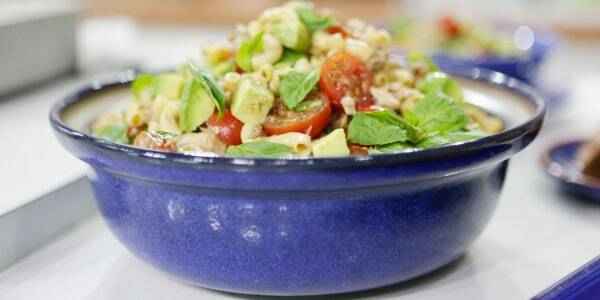 For more midday meal inspiration, check out these healthy lunch ideas from Joy Bauer.